We’re in the middle of our current cycle, and we’ve got a few exciting updates that will make your Jilt experience better. When we buy new software as a team, we always like to have invoices for our financial records. Many of you also need invoices for the same reason, so in the past we’ve generated and sent these on request. As we grow and more people are using Jilt, this system wasn’t very scalable. That’s why we’ve been working on making invoices accessible automatically from your account. 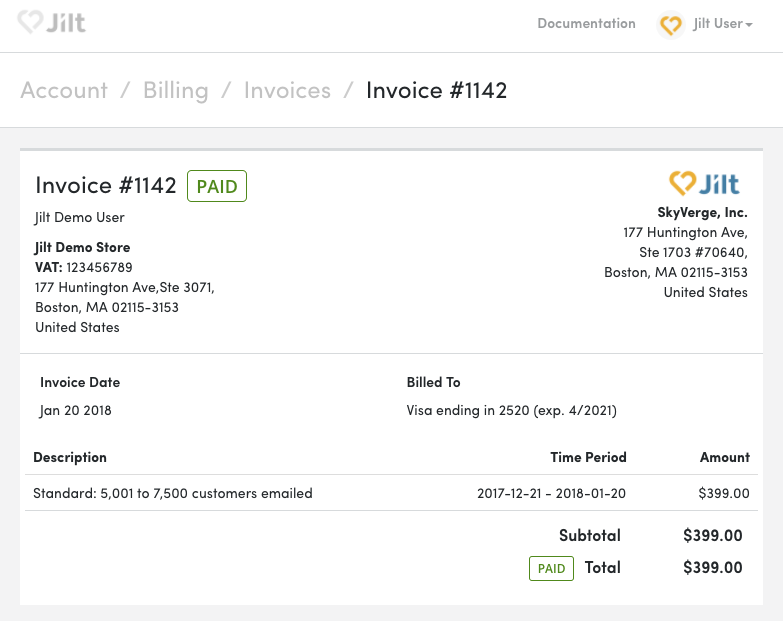 On your billing information page, you can now view previous invoices and receipts (the link is in the upper right “Billing” box). You’ll then see a list of all invoices. 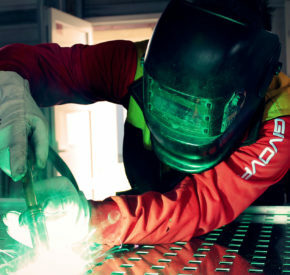 Need more information on each invoice? Get in touch with our team by clicking the link in the “Company Details” box and we’ll add info like your tax ID, billing address, or whatever else. Your invoices can be viewed in full format and printed as required. Handy, right? Our drag-and-drop email editor makes it easy to adjust the branding elements of your emails, like changing colors or adding your logo, but adding those things to every email you create individually can get tedious. That’s why we’ve added a settings section for “Store Brand Settings” that makes this even easier. On your brand settings page you can add a logo, brand color, and social network links. The email editor will automatically use your brand color as the primary color for your emails, which is used for CTAs and links, and soon, your logo and social links will be automatically included in special content blocks you can use in emails. You’ll also see a “category” section on this page, which lets your classify your store. This doesn’t do much right now, but in the future it will let us show you industry-specific recommendations to help you sell more and boost revenue. Jilt has a bot blacklist that omits bot-generated carts and traffic from your abandonment statistics. This improves the accuracy of your abandonment rate so that it more closely represents carts abandoned by real, live humans. We updated the blacklist at the start of the year so dashboard reporting will remain accurate and trustworthy. Resume previous payments: Previously, if an order was abandoned at the PayPal payment screen, it was left “pending” on the site. If that order was later recovered, there was no way to resume the payment, so Jilt would create a new order that referenced the old one. That was pretty messy. Jilt now requires more a recent version of EDD that supports resuming payments, so orders now move from pending to a paid status and no duplicates are created. Updated handling for recovery URLs: We used to regenerate carts for recovery using your site’s home URL, but that caused issues with some hosting configurations and caching plugins that (a) didn’t let us set the customer session here, or (b) overrode our recovery redirect because the URL appends tracking parameters. We now use the checkout URL to regenerate carts instead, which resolves these issues. Simple sign-up for WordPress stores: To connect WooCommerce or EDD stores to Jilt you used to have to copy and paste an app key from Jilt into a settings page in WordPress. The struggle was real. We’re working on a way to connect to Jilt via OAuth in just a couple of clicks. 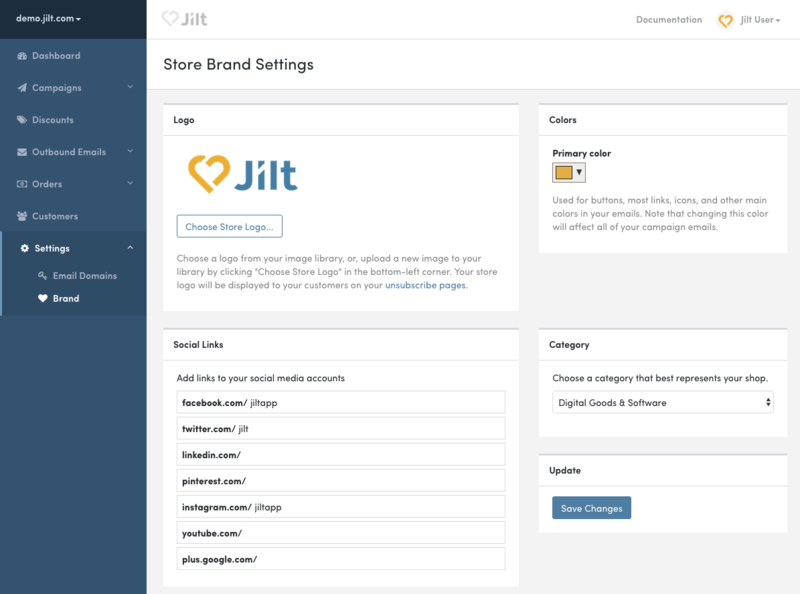 We promise this will be the easiest plugin setup experience you’ve ever had and it’ll make setting up new stores with Jilt a snap. Add to cart email collection: A lot of you have requested the ability to collect email addresses as customers add items to their carts, instead of waiting for checkout. Jilt for WooCommerce 1.4 and Jilt for EDD 1.3 will add an “add to cart” pop up that asks customers for an email address, which will improve the number of abandoned carts that are recoverable. We’re working on adding similar a feature to Shopify later in the next couple of months! Brand settings email editor blocks: As mentioned above, we’ll make it super easy to drop your logo and social links into your emails with new editor blocks that pull that data from the Brand Settings page.